A bit of show and tell, what i found again while reorganisating my hobby room. Beginning with a small Alkemy warband that i bought in between 3 and 5 years ago from heavily discounted stocks at shows. Ludik Bazar used to sell these for a real small price and as the miniatures themself are quite nice looking, i couldn't say no. 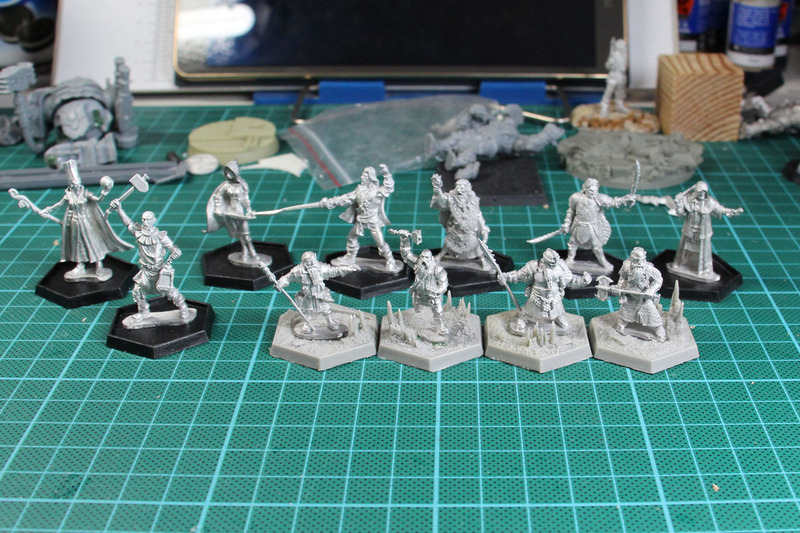 The whole lot most likely cost me less than 30 euros and as a skirmish warband they don't eat up that much space. I am thinking about an orange color scheme and some aftermarket roundlip bases, perhaps by Tabletop Art or Micro Art Studio. 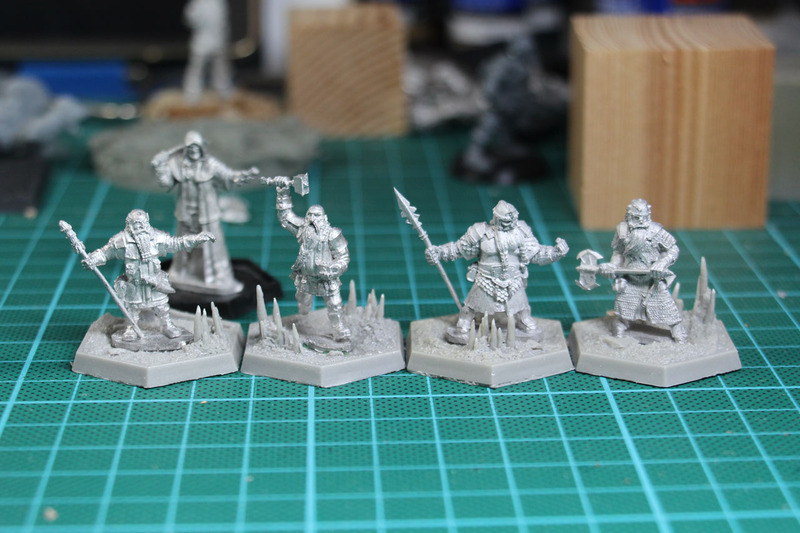 I noticed that i didn't build all of the Schicksalspfade miniatures i had, so i catched up on that. 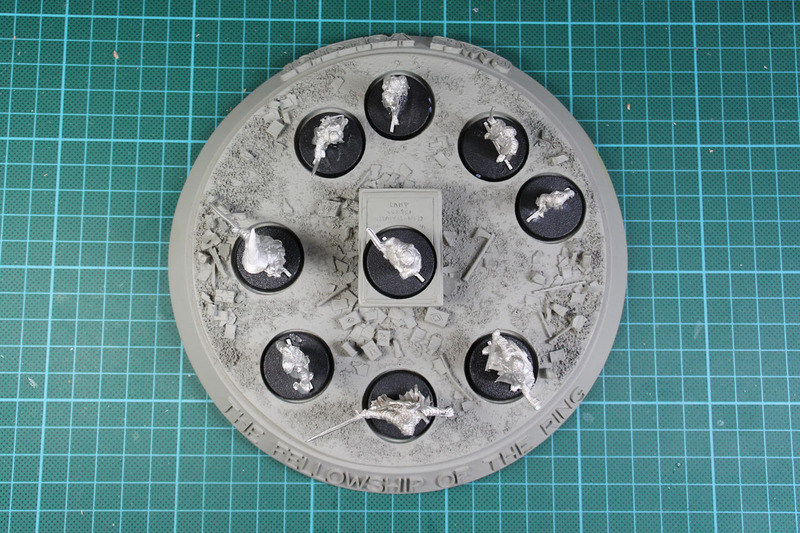 I even got myself some of the Tabletop Art bases to give the dwarfs a proper stand. 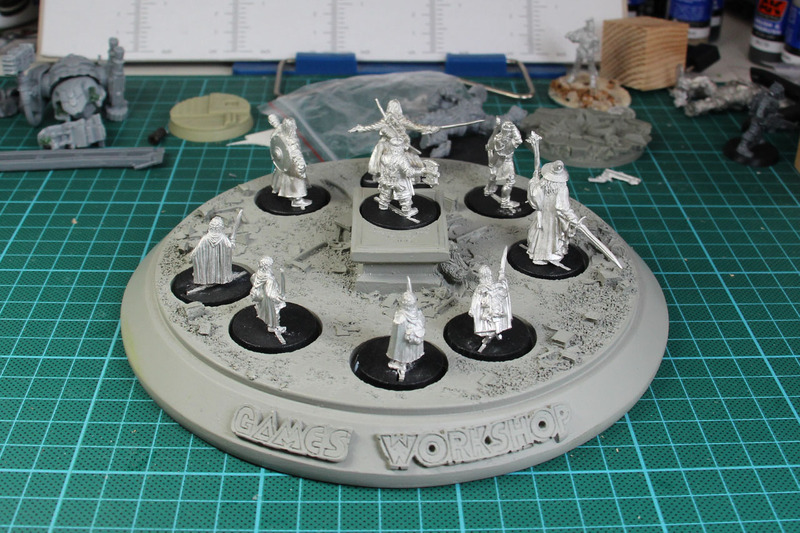 Unfortunately or fortunately, depending on where you stand, they discontinued the miniatures range to the The Dark Eye miniatures game. There will be new products, but not as miniatures, only as card board stand ups. Why is that? Well it is primarily a role play game or has role players as customers. They care more about the rules as about the miniatures. What was the problem with Schicksalspfade? 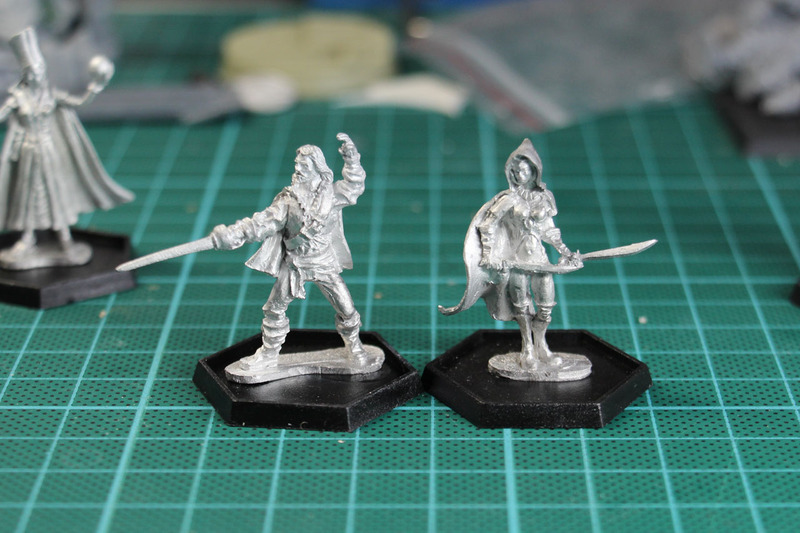 Well, first of all the inconsistent quality of the miniatures. Some, like the dwarfes or orks were really, really good, as you can see by the pictures. But others, like these heroes in the third picture look strange, ill proportioned, and they got quite a bunch of those in the human factions. And on top of that, the rather high price of 10 euros per miniature, making them even more expensive than Infinity without the quality. Freebooter can charge that much, but they have Werner Klocke... However, sad to see it go, it had a lot of potential, but difficulties as well. 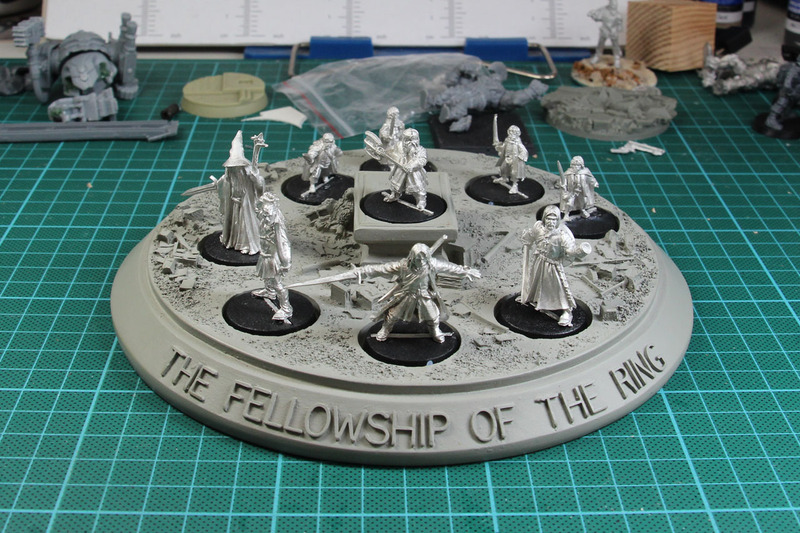 And i almost forgot about the diorama base for the Lord of the Rings Fellowship. I like the idea and it is a nice piece for the display case. It has the fellowship title in front, the GW logo in the back. A solid piece, could had got more details, but along with the metal fellowship it is a nice eyecatcher. 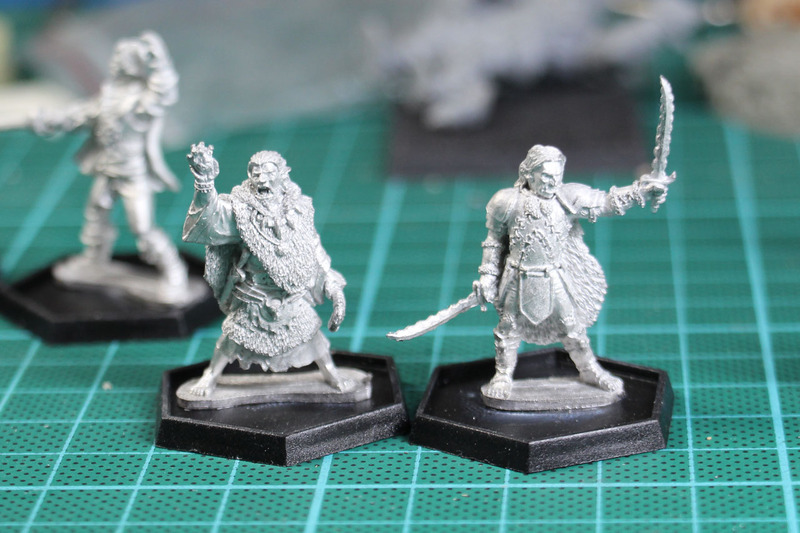 Originally i was going with the plastic fellowship from the starter, but these metal miniatures are so much better, more detailled and more dynamic, that it is silly i even considered otherwise. 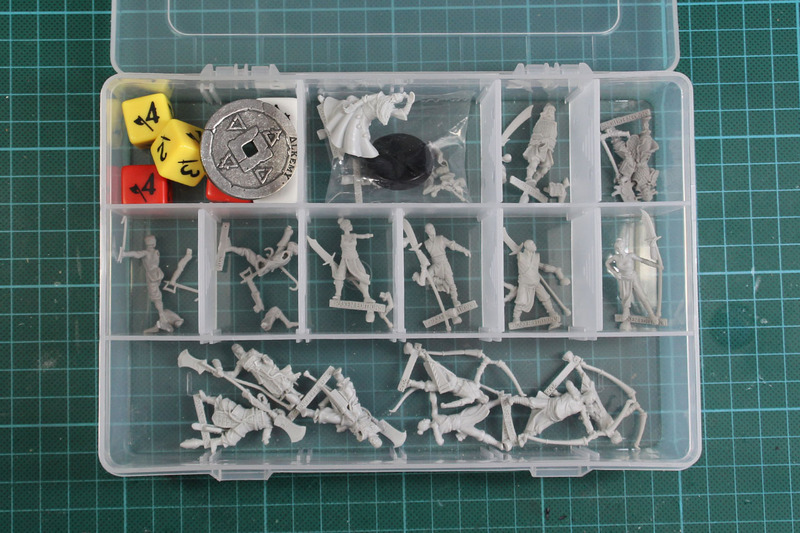 Next up I'll return with desert troops and MDF, so come back soon and take a look!